Battery charger for batteries and rechargeable batteries. Easy and convenient to use. 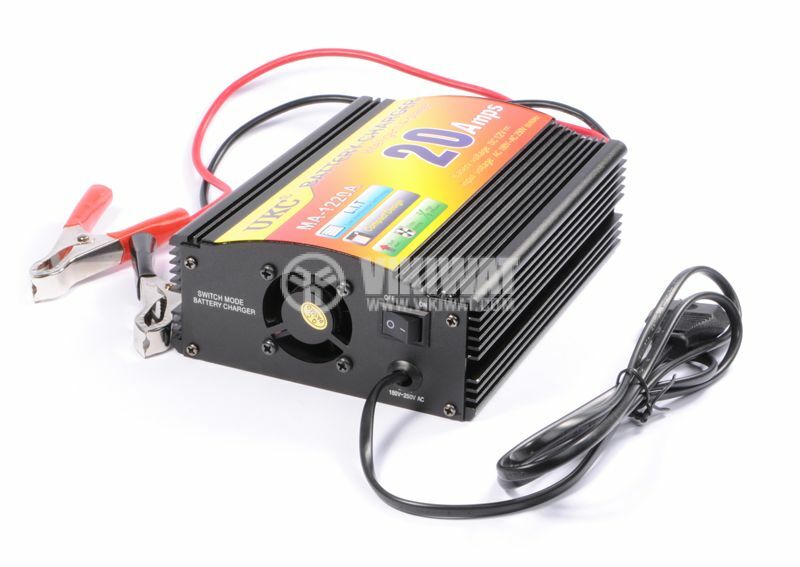 The charger is suitable for your vehicle's battery as well as any other 12 volt batteries. 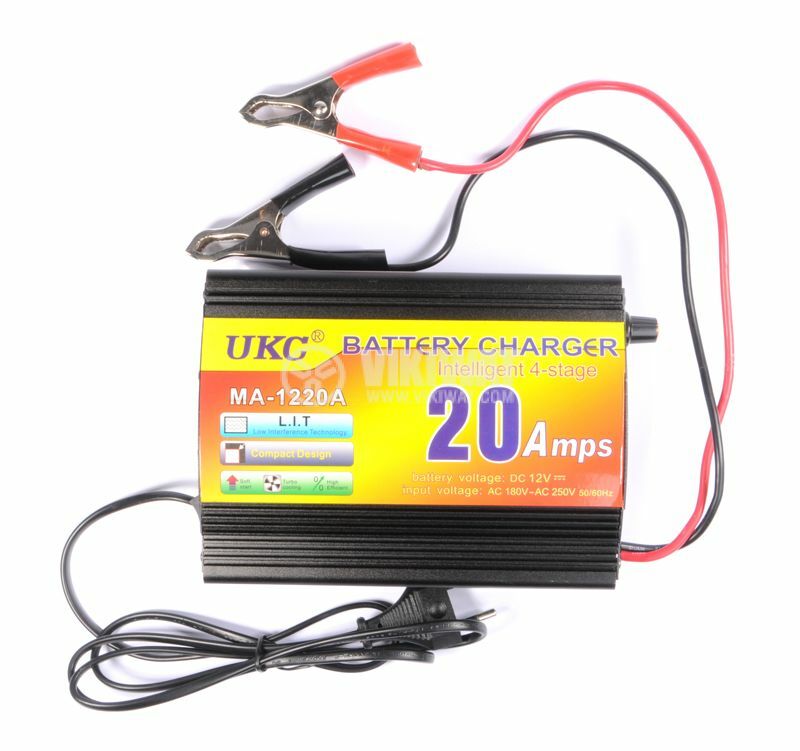 maximum current value - 20 A. Working with the device is extremely easy. Insert the red positive terminal of the battery (marked with +) and the black pin on the negative terminal of the battery (marked with -). Then, plug the charger into the mains and the battery will start charging. 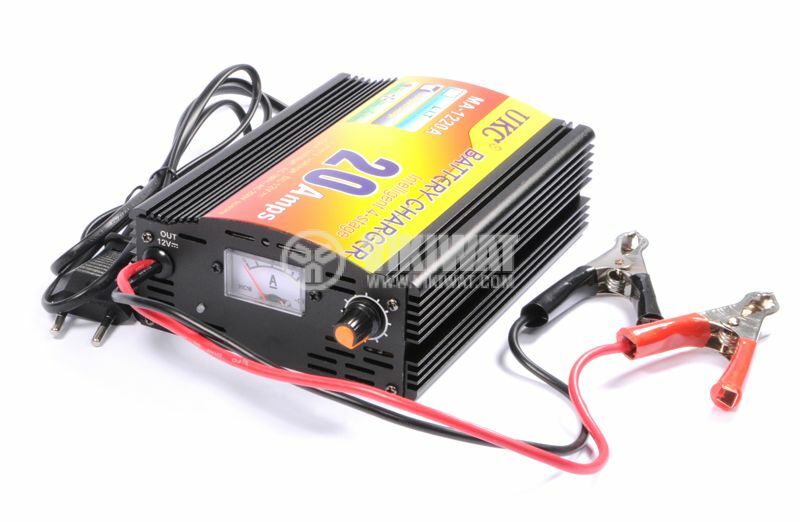 If the battery is damaged, has a dead cell or due to improper operation is completely diluted, the automatic protection will work and the charge will not be performed.